Bill Hillmann’s first Puppy Training video has been very popular. 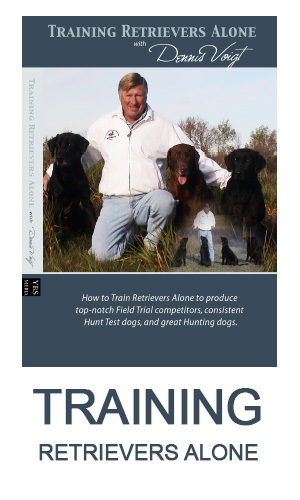 It has helped a lot of first time retriever owners to get their puppy started in an easy and friendly way that was fun for both them and the puppy. Many people that used to train their puppies in a more conventional way have tried it and liked it. I am amongst those, having trained my last three puppies à la Hillmann-style. It emphasizes balance between excitement and obedience with the result that you end up with a puppy that can “sit” very solidly and still have a lot of go and good attitude. Puppies develop patience and, while they are never restrained from going, they learn to be steady and sit and watch marks at a very young age. The result of this is that Bill and Mary Hillmann have released a revised edition that is dramatically different in presentation, although the fundamental program is very similar. In the new edition, Bill presents far more explanation about how and why he does various things in the puppies’ development. There is a great deal of philosophy throughout which can be extended to older dogs beyond the puppy Basics. Thus, the new edition will appeal to experienced trainers even if they don’t currently have a puppy to train. One of the biggest differences is that in this video we see several different dogs being taught the same lesson. While the original Nick is included, there are others that show different things. This will be invaluable to viewers. The sequence of lessons is similar but they are not presented as a set of training days. Instead, Bill discusses each lesson, shows it with several dogs and discusses what you are looking for, what to avoid, what NOT to be concerned about and when to move on. There are quite a few sections that cover things not included in the original. For example, Bill shows his wishbone drill, walking marks, the fire drill, the Y-drill and home plate (what I call “send backs”). His introduction of gunners is at the very end but it has more detail and explanation of what you are trying to achieve. I really like that Bill has included a small 8 page booklet that lists his 20 chapters with a paragraph for each on contents. This is great for getting an overview or for jumping to a section for a review. The following is a list of the chapter headers. The DVD comes on two disks and is just over 5 hours long in total. 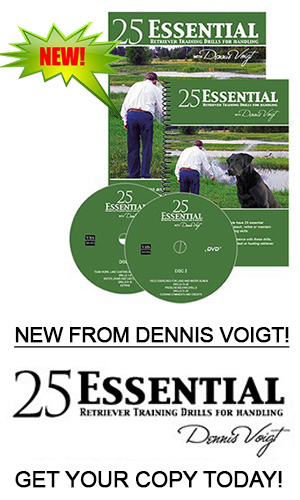 It is available at www.hawkeyemedia.net for $149USD including shipping and handling.